“Demosistō’s anniversary celebration is officially activated!” announced the master of ceremony. It was a tongue-in-cheek parody of Benny Tai (戴耀廷), the law professor who had used a similar battle cry when he launched Occupy Central nearly three years ago. At the microphone was Derek Lam (林淳軒), a core member of one of Hong Kong’s youngest political parties. Lam has recently been arrested for unlawful assembly outside the Liaison Office and faces months in prison if convicted. But the 23-year-old is unfazed. Ever since he beat leukemia a decade ago and became a loyal sidekick to Joshua Wong (黃之鋒) – like Sancho to Don Quixote, he has prepared himself for whatever his government throws at him. 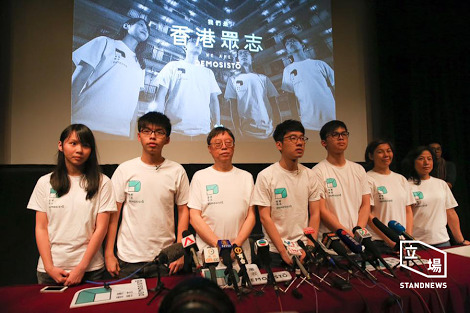 The duo, along with fellow party members Nathan Law (羅冠聰) and Agnes Chow (周庭), are all expected to be charged for their roles in the occupy movement. Jail time or not, the student politicians are taking it in their stride. And it’s been a year of false starts and setbacks. Their first press conference to announce the party’s establishment 12 months ago was an episode they would rather forget: the venue was too small, audiovisual equipment malfunctioned, and reporters were kept waiting for over an hour. The botched launch – and their inexperience that had caused it – was red meat for radical localists who pounced on the blunder and jeered in schadenfreude delight. The party’s unusual name didn’t go unnoticed either. The Greek-Latin concatenation quickly became a subject of constant ridicule on social media – both for its unpronounceability and pretentiousness. The name in Chinese provided fodder for rude puns and biting zingers. A year later, however, those angry localist groups have all but vanished from the social media echo chamber. Their young ringleaders have either quit politics or left the city for graduate schools, and the internet trolling has ceased. It bears out the political adage that if you wait long enough, you’ll outlive your enemies. Demosistians had barely recovered from their rocky start when they found themselves going full steam ahead in preparation for the Legislative Council election. Because Joshua Wong was too young to run, Nathan Law had to fly solo in his bid for an elected seat. In the end he swept up over 50,000 votes and, at age 23, became the youngest ever Legco member in the city’s history and the only politician in Asia to enter the legislature as a student. But like a star-crossed lover in a Cantonese soap opera, the newly-minted lawmaker saw his honeymoon cut short as soon as it began. 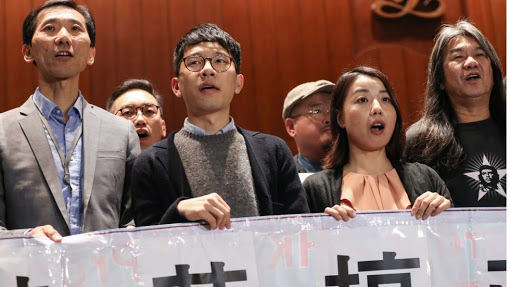 The political firestorm known as Oathgate – in which two young pro-independence Legco members, Baggio Leung (梁頌恆;) and Yau Wai-ching (游蕙禎) lost their seats for insulting China during their swearing-in ceremony – spread to the rest of the opposition camp. The government, having successfully ousted two thorns in their side in a single move, swiftly initiated similar legal actions to unseat Law and three others for straying from the oath. The court is due to hand down a verdict in the coming weeks. If he loses, he will not only have to give up his hard fought seat but also face millions in counsel and court fees, not to mention months of salaries and expense disbursements he will have to pay back the government. Bankruptcy will be inevitable. Until the dark cloud is lifted over his head, Law is reluctant to make any long-term plans for his party. Proposals to open a second office in his constituency and hire more staff have been shelved pending the fall of the gavel. Then there are personal safety issues. Last January, Law was attacked by pro-Beijing protesters at Hong Kong International Airport when he and Wong returned from a pro-democracy forum in Taipei. Hecklers threw water bottles at Law and ripped his shirt. He slipped and fell down a flight of stairs and was treated at a nearby hospital. So far no one has been arrested or held accountable for the assault. Three months prior to the incident, Wong was denied entry to Thailand and detained at the Bangkok airport for 12 hours. Based on that and a similar run-in with the Malaysian government, there are now only three countries in Asia to which the two feel comfortable traveling: Taiwan, Japan and South Korea. The ersatz travel ban has hamstrung a party that has put “international connection” on its marquee. If legal action and physical violence are overt forms of political clampdown, then there are more subtle but no less effective weapons of oppression. To date, Demosistō still hasn’t been able to register itself as a “society” with the Hong Kong Police, a requirement under local law. Attempts to open a bank account have been repeatedly denied, which makes everything from managing donations and crowd funding to hiring staff and paying bills a daily struggle. The irony of not being able to even write a check in the world’s freest economy is not lost on them. In the meantime, the party continues to be hemorrhaging people. Out of the seven founding members who addressed the press at the party’s inauguration, only three (Law, Wong and Chow) are still around. The other four have bowed out for one reason or another. Fermi Wong (王惠芬), a long-time defender of minority rights, was diagnosed with breast cancer shortly after the launch. Vice Chairman Oscar Lai (黎汶洛), who took flak for sidling up to Civic Party during a by-election last autumn for his own political gain, stood down from party elections earlier this month. The vice chairman position remains vacant today. To call the past year “eventful” would be an understatement for Demosistō. The young activists have long lost their teenage innocence. Local politics have toughened them up and taught them lessons that no textbooks can. Among them is voters’ priorities. It has taken them a bit of time to figure out that most constituents are less interested in big ticket political items like universal suffrage and freedom of speech than smaller, more immediate matters affecting their neighborhoods. That means community outreach and grassroots issues are just as important as filibustering a bad government bill on the Legco floor or leading a thousand-man rally on the streets. Wong and Law, both having achieved international fame, now find themselves increasingly rolling up their sleeves over everything from rerouting bus routes to preventing teen suicides. Recently, the party launched a neighborhood initiative to look into why a popular shopping arcade that serves thousands of local residents has been turned into an international school for a privileged few from outside the district. To look more down-to-earth, they have finally decided to drop the macron – the little bar above the letter “o” – from their name. Demosisto (now spells with two regular o’s) has been actively growing their membership and grooming new leaders. Their latest recruit on the executive committee is 16-year-old Isaac Cheng (鄭家朗), a high school student with Wong’s signature bowl haircut. The party has also drafted an army of university students and fresh graduates to tackle an ambitious research project. 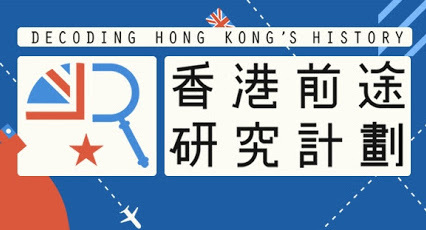 The newly-launched Archival Research on the Future of Hong Kong aims to study, digitalize and compile a report on declassified documents concerning the handover negotiation between Britain and China in the 1980s. 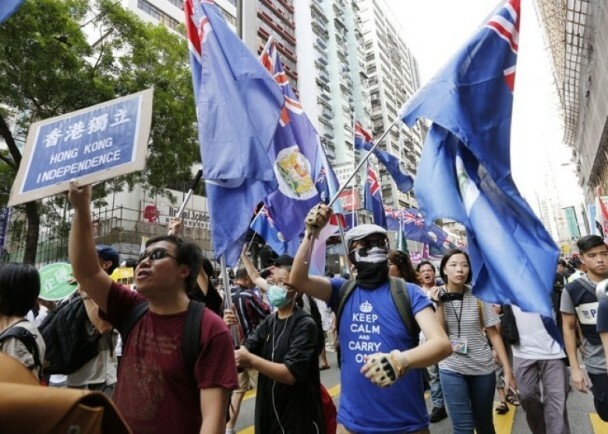 The party believes that these documents, housed in the National Archives in London, hold the key to not only understanding the past but also analyzing the path forward come 2047, when the “one country, two systems” framework for Hong Kong will expire. At the end of the evening, after the music had died down and the Chinese petit four had been served, two dozen active party members came on stage for a final curtain call. They shook hands with their guests and posed for endless selfies in every combination. And then they would be back to the grindstone the next day. 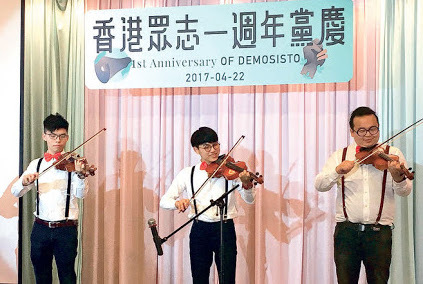 Demosistō would join a handful of opposition parties and advocacy groups in a protest against a stew of political and social issues. They would continue to make strides, whatever is thrown at them. 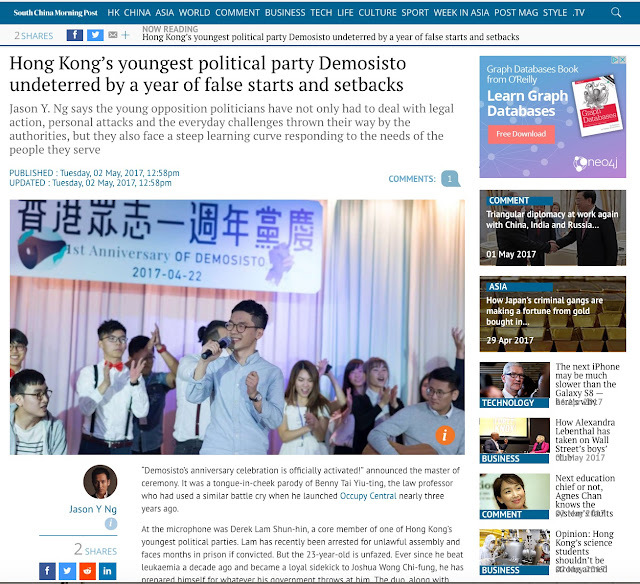 A shorter version of this article appeared on SCMP.com under the title "Hong Kong’s youngest political party Demosisto undeterred by a year of false starts and setbacks."